Arizona Paranormal: A New Monthly Feature! Allow me to introduce myself. 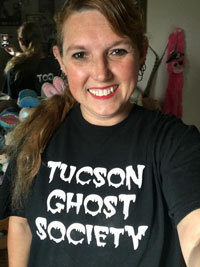 My name is Becky and I was asked to do a monthly article for Tucson Happenings to write about the paranormal. I was shocked that someone wanted me to write monthly about something I am very passionate about, so of course, I said yes. Now I admit this isn't something I have ever done before, but in my life, I continue to challenge and surprise myself with doing things I never thought I would be doing. You see, throughout my life I worked a bunch of odds and ends jobs. Mainly in retail and office work trying to discover what I wanted to do with my life. I even went back to school for a while trying to figure out what I wanted to be. As a child, I wanted to be an actress but those were childhood dreams. Once I was an adult I started to think about working with animals because I have such a love for them. But never in my life did I dream that I would be doing what I am doing. I never dreamed I would own my own business, host a radio show, form my own paranormal team and write monthly articles on the paranormal. I have to admit though, I am one of those people who has been lucky enough to find their calling. My passion is for the paranormal and, in all honesty, the paranormal has been a part of my entire life. 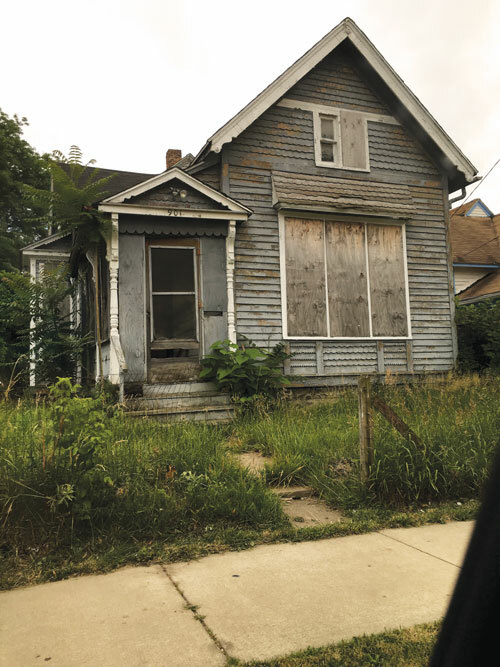 I grew up in a haunted house in Toledo, Ohio. It was a creepy old house that was well over 100 years old when I lived in it. There were sections of the house I would refuse to go in after dark because I just didn't feel comfortable. I can't say I had major experiences in the house, just a sense that I was never alone and always being watched. While growing up, I also would notice I was more sensitive to a lot of things. I had strong gut feelings about things that kept me safe. I could walk into buildings and get a sense of something being there that others were clueless about. And at times I knew something was going to happen before it happened. Some of these things I outgrew; like being able to predict things, but other abilities stayed with me like being able to sense spirits. As an adult, I had my first major paranormal experience. I was living in an apartment that I felt very uneasy in two of the rooms, which were the bathroom and living room. One night while it was just myself and, at the time, my 2-year-old daughter at home, I heard a loud bang come from the living room, so I went to investigate what it could have been. To my surprise, I saw broken glass on the floor and a poster picture I had in a frame also on the floor. When I went to look at the frame, it was on the wall crooked but the weird thing was the frame was flipped. I could see the hook that you use to hang the picture facing me! I knew without a doubt then that I was living in a haunted apartment! That night my curiosity for the paranormal grew, yet I didn't really talk about it out of fear of judgment from others. Then one day, while flipping channels, I found the show Ghost Hunters. I started buying paranormal books and reading about some of the places I had been in my life and how they were haunted and people had some of the same experiences as me. All this fueled my excitement even more so I started looking into ghost tours and ghost hunts and well the next thing I know I am running Tucson Ghost Tour and Tucson Ghost Experience. My passion led me to forming a paranormal team, Tucson Ghost Society; that could help others with paranormal concerns for free. It's been a rough 3 years getting the company and team off to a good start, but more opportunities keep coming my way like the radio show, Mysteries Explained. My team has also been able to help out over 2 dozens families and businesses during that time. I have learned a lot about different hauntings in Arizona and have had a lot of personal experiences, so I am very excited to be sharing these experiences and stories with everyone. Every month I plan to write about the paranormal, my articles will either be about personal experiences I have had or about stories that have been told to me personally. There is so much rich history not only in the United States but in Arizona and I look forward to sharing these stories with you, from the spirits of La Cocinca to a "shadow" that tormented a family. Every month there will be something new and amazing dealing with the paranormal. Just remember we are never truly alone. For more information about my business and team you can check out www.tucsonghosttour.com and Mysteries Explained airs every Thursday from 4-7pm on Iporadio.com.